So, after all the yapping I did over that burger joint in Covent Garden being phenomenal, I figured my burger review days were done. 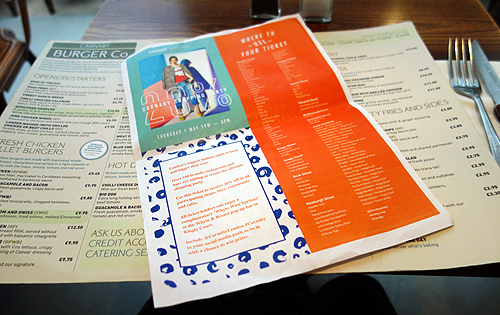 And then, I ended up at Carnaby Burger Co. It was actually a bit of a fluke. I was in the Carnaby Street area for the #Regent #Shopping Party. The event included numerous discounts and offerings from nearly all the Carnaby Street stores. The problem was… they were all packed! 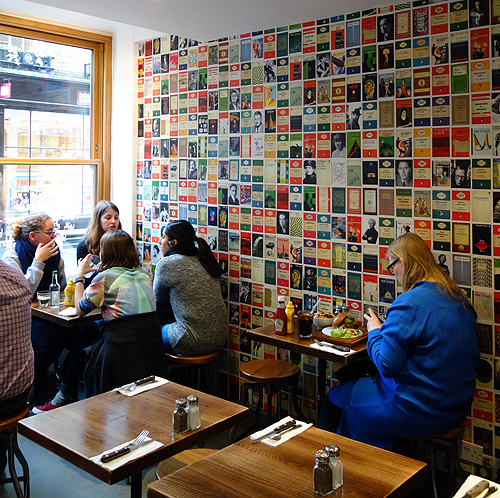 I wandered in Carnaby Burger Co because quite honestly, it looked like I could get a seat. The pub across the street was offering dinner and a drink for £10. However, I didn’t feel like waiting in the line wrapped around the building. Sometimes deals just aren’t worth all that. I was really disappointed when I learned the only promotion was a small price reduction on a chicken sandwich. I wanted a hunka beef and buttery buns. HaHa! Well, now y’all know I’m not that crass. I just politely said, ‘Why sure, I do!’ as a fluttered my eyelashes. Oh yeahhhhh! You know you want some now, Sunny friends! It’s safe to say Sunny was no Southern Belle when it came to eatin’ time. This burger needed some serious man handling. I took the challenge and had no shame. I inhaled it in under 6 minutes. It was intense. I couldn’t stop myself. The absence of any elaborate décor made it feel a bit institutional. However, I did go absolutely mental on the food, so maybe it was all for the best. This is the top level. I do want to give a special shout out to the staff. Thank you for not only recommending a truly memorable burger. But also, thank you for telling me I could have my burger within 15 minutes of ordering it and keeping your promise. The service was stellar! 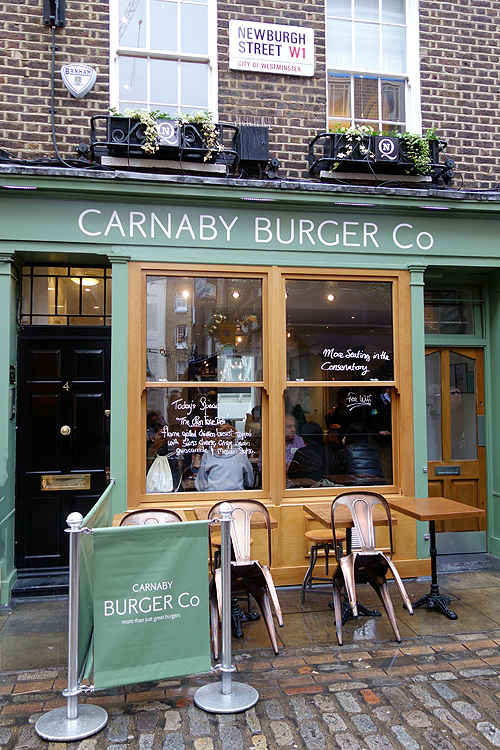 You can find Carnaby Burger Co at 4 Newburgh Street, London W1F 7RF and on Twitter. And I strongly suggest that you do! 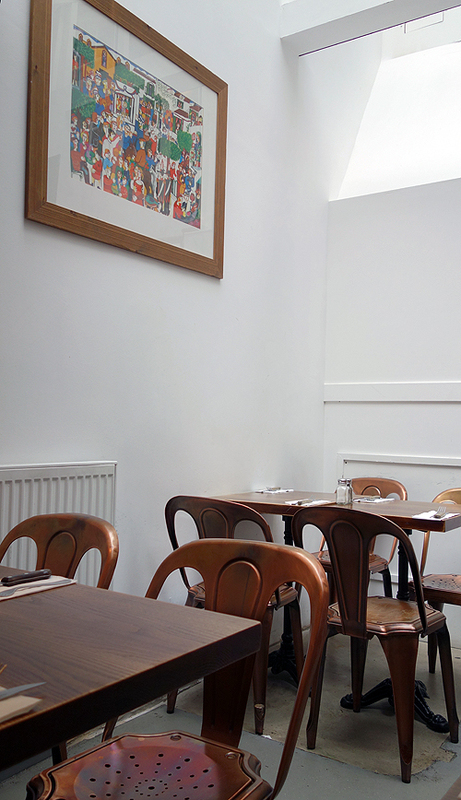 El Patron Restaurant- It's Where to Party in Putney! Run to the Milestone Hotel Afternoon Tea! Is Heathrow Airport Duty Free Worth It? It is a really great deal for the money! Atmosphere wasn’t too exciting but food was great. Yes, this one was definitely tough to handle. Worth it though! Where would you recommend? They used to be in a different location and last time I tried going over (because before I just loveeeed the whole atmosphere and the great burgers), I couldn’t find them. Eventually we did but the interior just didn’t speak to us as much and it looked terribly crowded so we moved on to another place to eat. Nice to see the burgers do still look delicious but it’s crazy how much a space can do to what you eat! Exactly! Thanks for commenting. While, it’s not too scenic, the food and service were outstanding. 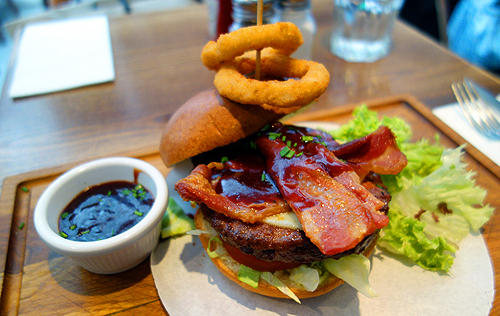 Anywhere you might recommend for great burgers in Central London?